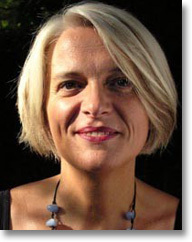 Carla Sassi is Associate Professor of English Literature at the University of Verona. She started her academic career at the University of Trento, teaching English Literature and History of the English Language as an Assistant Professor. She specialises in Scottish Literature and Postcolonial studies and has extensively published and lectured in these fields. Among her most recent books are Imagined Scotlands (2002), and Why Scottish Literature Matters (2005). She is a member of the editorial board of the International Journal of Scottish Literature and of the End of the World Newsletter (The International Anthony Burgess Foundation), advisory member of the Association for Scottish Literary Studies International Committee and Honorary Patron of the International Anthony Burgess Foundation. She holds a Visiting Research Fellowship by the Royal Society of Edinburgh.